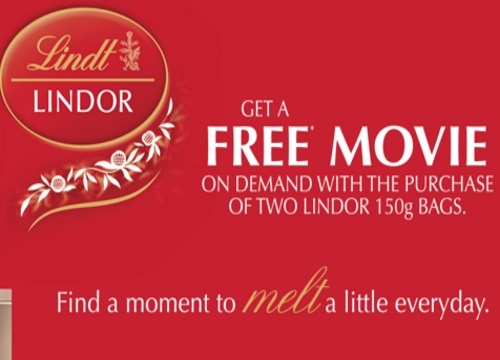 Lindt has a great freebie offer! When you buy 2 Lindor chocolate 150g bags you will receive a credit for $6 for a Free Movie on Demand from your cable or satellite provider! To get it just upload your receipt showing the purchase at the link below. Offer is valid for purchases between March 21-June 4, 2016. Offer ends June 15, 2016. Limit of 2 movie credit pins per household. PIN codes must be entered at reward website by July 31, 2016.